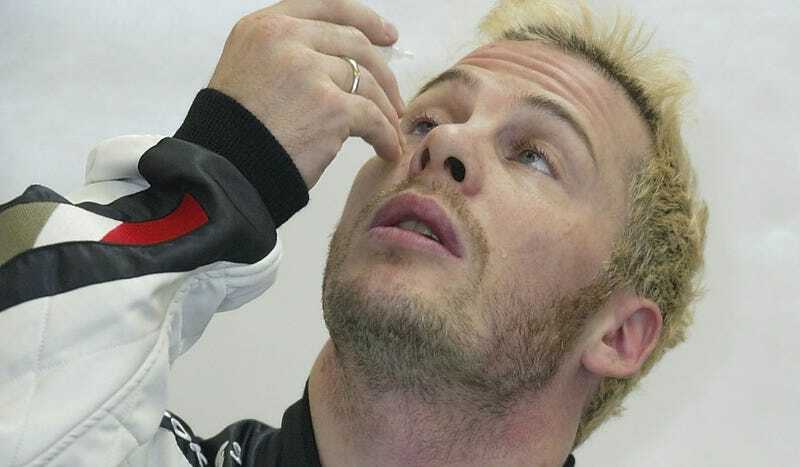 Jacques Villeneuve, a man who won a Formula One world championship and then floundered around motorsports not winning world titles, has some thoughts about fellow one-time world champion Nico Rosberg. And boy, are they dumb. That’s fine, but then a man who is arguably the Fred Durst of singing decided to take it one step further and take a dig at a consistently decent F1 driver who decided to go out on top instead of, oh, farting around for a 21st place season finish a couple times (the latter of which Villeneuve did). I heard Nico Hulkenberg and Romain Grosjean giving their opinion about what Alonso is doing — Hulkenberg said it’s dangerous, that he wouldn’t do it, that he did Le Mans because it was different. It sounds like excuses. I think there are two classes of drivers. You’re either an Alonso or you’re a Rosberg. And Hulkenberg is a Rosberg. How can one person go from being so right about how what Alonso is doing is cool to being so wrong about 2016 F1 world champion Nico Rosberg, so fast? I don’t know, but it’s kind of like going from a Formula One world championship one season to not scoring a single F1 championship point two seasons later. I believe Villeneuve is intimately familiar with that trajectory, seeing as that’s exactly what he did. Rosberg retired almost immediately following his F1 world championship to go be a dad, which is pretty respectable. Meanwhile, Villeneuve’s post-F1-championship career led him all the way to the Canadian NASCAR Pinty’s Series. I’m not sure Jacques with his sharp fall from the top has much room to talk on who should do what with their driving careers, be it Rosberg, Hülkenberg or anyone else. Can You Believe This Hoser?